I have written about how to make Ubuntu look like Mac before.There,I use Mac4Lin package,but it need to manually configure wallpaper,dock,panels, and etc..Macbuntu is a project similar to Mac4Lin but dedicated to Ubuntu Linux. 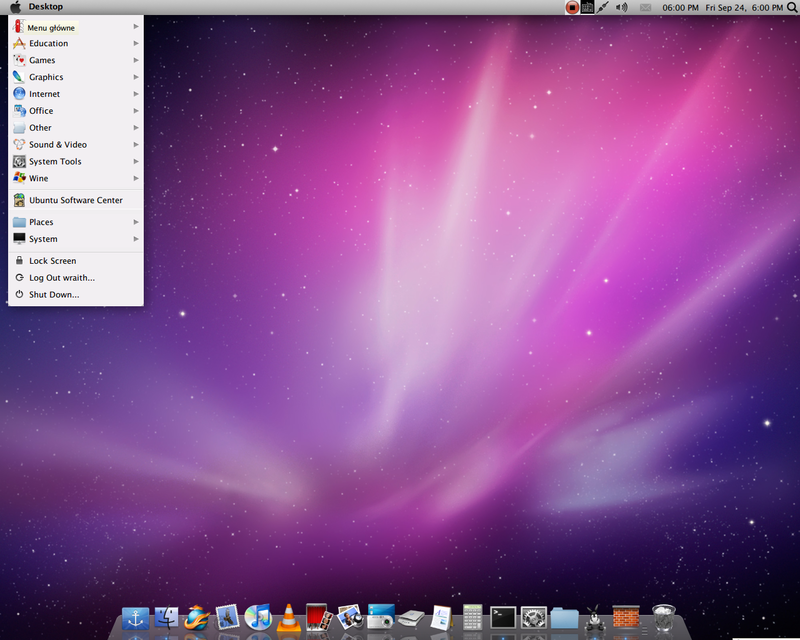 It can also be used in other OS based on Debian/GTK. Package includes all necessary system components to mimic Mac OS X appearance on Ubuntu Linux. Macbuntu do all the installations and configurations just by run install.sh script.You can just one click to run this script to install Global Menu,Docky,Compiz Extras and configure Login appearance,Wallpaper,Plymouth theme,Compiz effects,MetaCity,and so on. 5 users responded in " Macbuntu,One-click to Make Ubuntu look like Mac OS X "
Thanks, I’ll try this out, very attractive post! but it cut the arabic word and look like that ش ك ر ا instead of شكرا. tried that did not work any ideas? Please.